Dexter Williams is an up-and-coming young bassist who has spent his life immersed in the jazz community. Even in utero, he was being serenaded by the irreverent stylings of his parents’ popular group, the Wooden Nickel Jass Band. Taking to music quickly, starting out on violin at the age of five, he became interested in other instruments such as guitar, clarinet, and piano until in his first year of high school, he picked up the upright bass to play in the concert band. 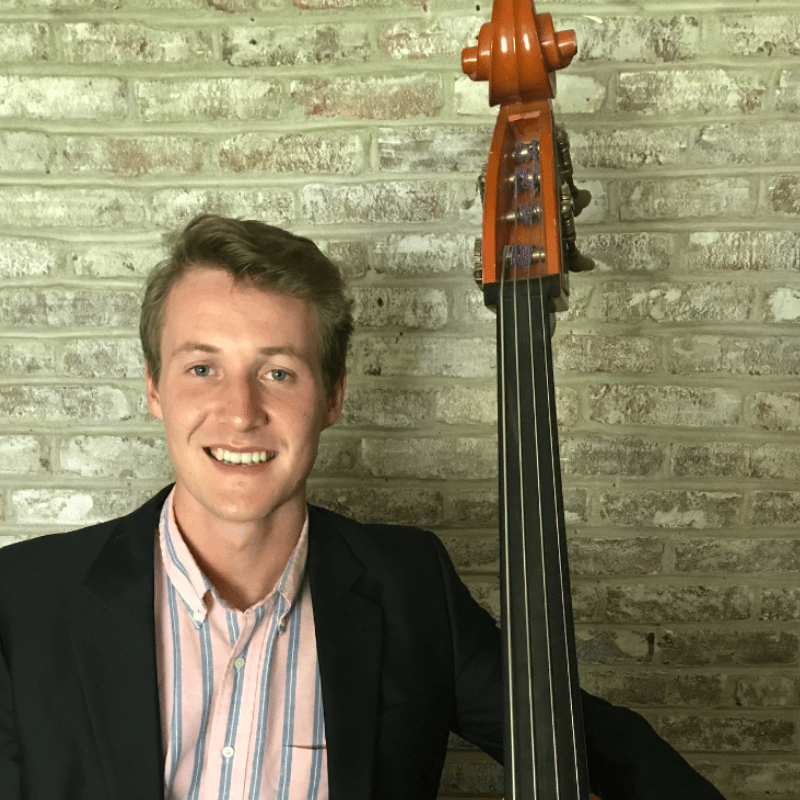 The next summer, he attended the Teagarden Traditional Jazz Camp in Sly Park and fell in love with the sound and culture of traditional jazz. Throughout high school he focused on upright bass and began his career as a jazz musician. Starting out in The New Traditionalists Youth Band, Dexter began playing professionally with musicians such as John Cocuzzi, Danny Coots, Jeff Barnhart, John Reynolds, Jim Buchman, Hal Smith, and many others. His playing has been described as highly lyrical, and heavily influenced by traditional and swing styles.